With a sweet tooth and little bit of extra time on my hands one Saturday, I began my foray into vegan baking with a batch of cupcakes... That was three years ago. Since then I've grown beyond just cupcakes, but it's always a treat to come back to them when the mood strikes. And today? When the mood struck, it only seemed fitting to resurrect the very same recipe I started with on that first Saturday (with some tweaks) to share these Spring-y cupcakes with you. For one, A fresh new layout design! Bigger photos, one simpler sidebar, and easier to navigate links across the top of the blog. Do you like? Plus, I'm trying out a new recipe system (below), and as always, I appreciate any feedback you may have. 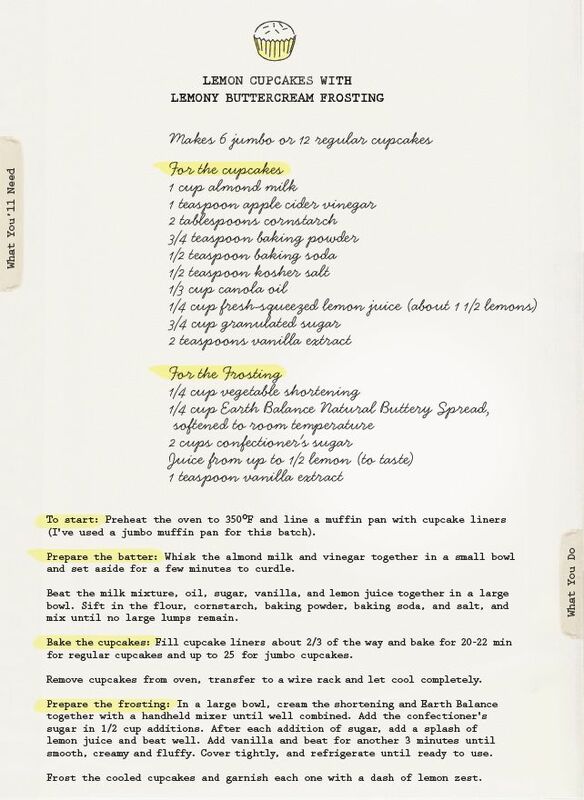 If you prefer the usual typed recipes rather than images, please let me know. I find the recipes easier to read the new way, but I'm not the one using them! Also? Pinterest and Facebook buttons will be coming to the footer of each post. Soon you'll be able to easily Pin and Like away! 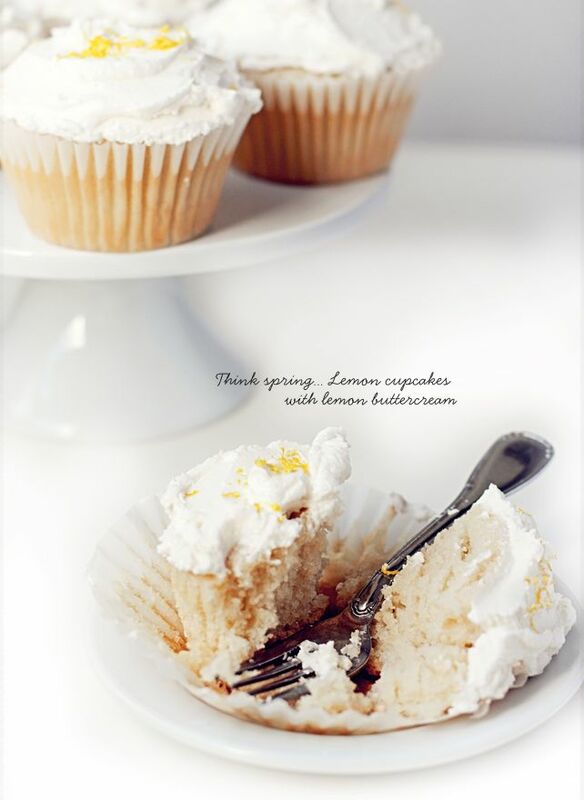 And please get in touch if you make these Lemon Cupcakes... I always love to hear from those of you who try the recipes. Send me a photo of your cupcakes, or any other KLB recipe you've made! I'd love to feature the best ones in a special post. I'm so glad to have found your blog! I too am more of a pure vegetarian than a vegan. I like to say I'm about 90% vegan - still working on a few items I'm having a hard time giving up (like organic 1/2 and 1/2 in my morning coffee). I'll be checking in regularly! Thnk you, Noelle! What a nice comment. I'm glad that you like it, and it's cool that you've pinned some of the recipes!